The average Wall Street salary rose 13 per cent last year to its highest level since 2008, when Lehman Brothers Holdings Inc. collapsed. Annual pay, including bonuses, in New York City’s securities industry rose to US$422,500 on average in 2017, New York State Comptroller Thomas P. DiNapoli said in a report Monday. Salaries gained as pretax profits rose 42 per cent to US$24.5 billion last year. In the first half of 2018, the earnings totaled US$13.7 billion, up 11 per cent from a year earlier, he said. 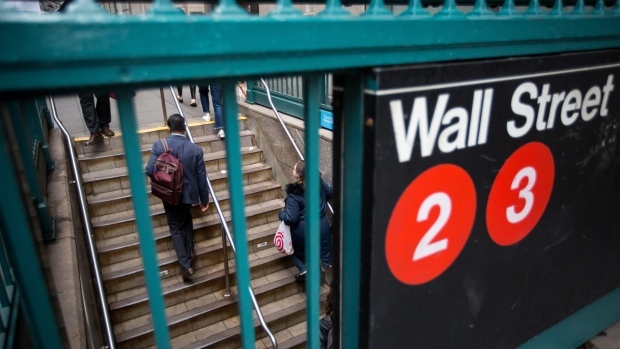 Wall Street is on pace to add 1,700 jobs this year, based on trends from the first half. The industry added 10,600 jobs in the city from 2010 to 2017, bringing employment to 176,900. Even with those gains, the industry is still 6 per cent smaller than before the financial crisis. Bonuses are likely to increase for the third consecutive year in 2018. The average bonus rose 17 per cent to US$184,200 last year. Almost a fourth of securities industry employees earned more than US$250,000 last year, compared with 2.5 per cent for the rest of the city’s workforce.